When it comes to camping gear, if you have room for it, bring it! It's much better to have more than you need than not enough, in my book. If you want to have a comfortable night's sleep, make sure you bring an air mattress (and don't forget the pump). A large tent can also be a luxury with kids, especially if you are bringing a baby who needs room to crawl around. Our tent is large enough that we can set up our travel crib so the baby can sleep comfortably (which means I sleep comfortably). If you plan on hiking with a baby, bring a baby backpack. I even bring a portable high chair. It keeps baby contained so she will eat and keeps her from wandering so that you can prepare meals. There are plenty of complicated recipes for cooking while camping, but with kids, it's best to go with what you know they will eat. Hot dogs on skewers can be cooked over the fire and kids love cooking their food themselves. Many campgrounds have grills that go over the fire pits where you can cook ears of corn and kabobs. Bring along a cast iron frying pan and/or dutch oven and it opens up your options even more. What's important to remember is to keep it easy. This is your vacation too and you don't want to spend it slaving over a fire. If you've never gone camping with your kids then choose a campground close to home. If it starts to rain, and you weren't prepared, home isn't too far away. There's safety in numbers! Invite family or friends for a group camp-out, and the kids will keep themselves entertained by playing with each other. Being prepared is extremely important--but also remember to have fun! Need to pack a beach vacation into one day? Visit Crystal Cove State Park's historic district in Newport Coast where you can drink date milk shakes, eat fish and chips, explore the tide pools and, of course, catch a wave or two. The older I get the more aware I am of just how quickly time passes. Didn't we just get out of school?! And now, it's time for back-to-school haircuts. Not so fast! There's still plenty of time to get to most of the things on your summer to-do list. Here's my short list to get to before the school bell rings, excerpted from Real Simple magazine's 50 Fun Summer Activities. Hopefully, it will inspire you to seize these last precious days of summer. 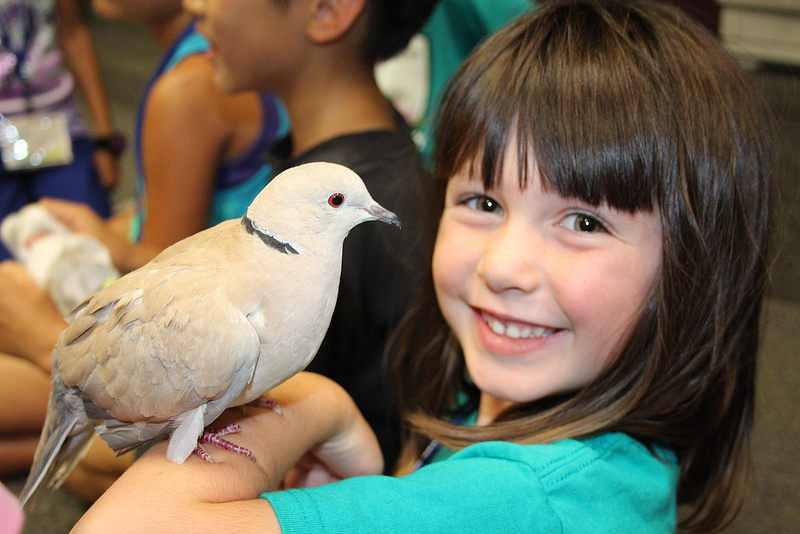 Every day this summer, Fairmont's Summer Program campers have been treated to fun, learning, and a few surprises--like when this dove found a friendly perch on an Anaheim Hills' camper's arm during a hands-on animal presentation! We love that Fairmont's summer program keeps kids engaged all summer long with lessons that go beyond reading, writing and arithmetic to pique children's curiosity and get them thinking and engaging with one another. As this article from Peg Smith of the American Camp Association illustrates, camp experiences teach 21st century skills like creativity and collaboration. They "let kids be kids" and encourage getting dirty, playing outdoors, and free play. Whatever your child is doing this summer, be sure to unplug and make play a part of every day! Get out and about - I know it's fun to stay in your pajamas all day, but a few days of vegging out and your kids will ready for some serious stimulation. It's time to load up and go for an adventure! Have you been to Bower's Museum (or their Kidseum), Discovery Science Center or the Long Beach Aquarium of the Pacific? What about a boat ride to Catalina or a camping trip to Lake Arrowhead? There's so much to do, to see, and to experience before the school bell rings! Hit the books - Fire up your kids' brains with a trip to your local library or bookstore. Let them create their own summer reading list or research a topic a week that interests them. Offer incentives when your kids read a certain number of books or better yet, write about what they are reading in a journal. Give back - Summer is a great time to encourage children to get involved in giving back. Encourage your kids to stage a bake sale or lemonade stand and give the money to a charity they connect with. Spend some time cleaning out closets and gathering gently used toys and clothing to donate. Create artwork for a local senior center or write letters to soldiers overseas. Play games - Whether it's planning a weekly Family Game Night or coming up with fun ideas for at-home playdates make sure to make play center stage this summer. Have you had a teddy bear picnic yet? What about a superhero water gun fight? I'm a big fan of old-fashioned outdoor games like sack races and three-legged races. Hopscotch is another fun, easy game and you can modify it to teach math facts and sight words. Need more inspiration? Check out Fairmont's Art of Play board on Pinterest. 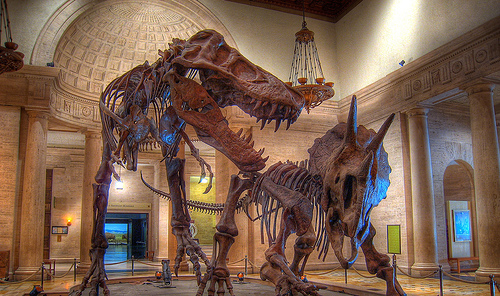 Kick off the day with a visit to the LA Natural History Museum. Immerse yourself in the beauty of nature at the new 31/2 acre Nature Garden complete with pond, Get Dirty Zone, edible garden and living wall. Check out the nature lab for hands-on animal presentations and don't miss the Butterfly Pavilion or the famous Dinosaur exhibit! General museum admission is $12 for adults and $5 for children. After a morning learning about nature, head next-door for a picnic in the Exposition Park Rose Garden. This stunning garden has been a part of Los Angeles history since 1928 and is now a destination for LA natives and tourists alike. The park is open to the public daily from 9am to sunset and is the perfect place to "stop and smell the roses."